What does your bedtime routine look like? Whether you call it that or not, we all have one, right? Put on your pajamas. Brush your teeth. Wash your face. Climb into bed. Then, there’s the light. How do you typically turn off your bedroom light? Do you use a bedside lamp? Or are you walking across the dark room back to your bed each night? 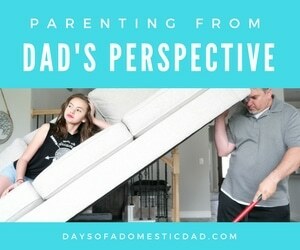 I have a way for you to make your bedtime routine easier! 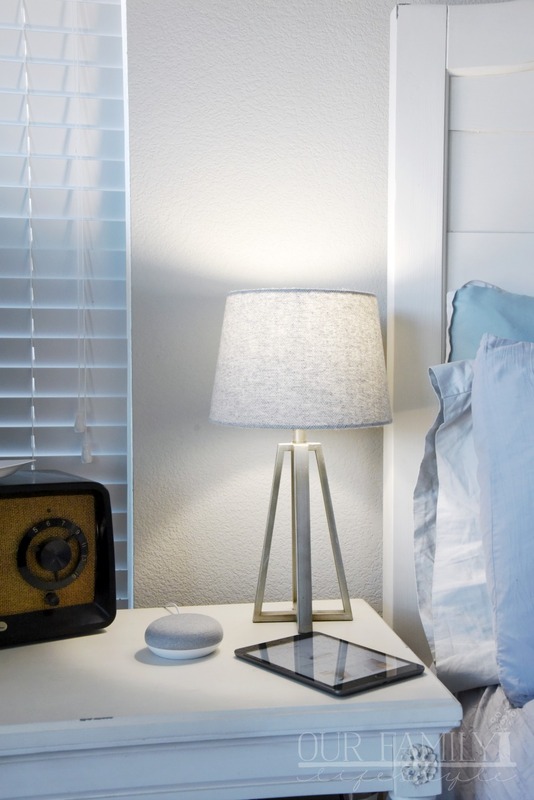 The Google Smart Light with Google Assistant, available at Best Buy, is a great addition to your bedroom—or any room in your home. The Google Smart Light Starter Kit allows you to control the lights in your home using just your voice. 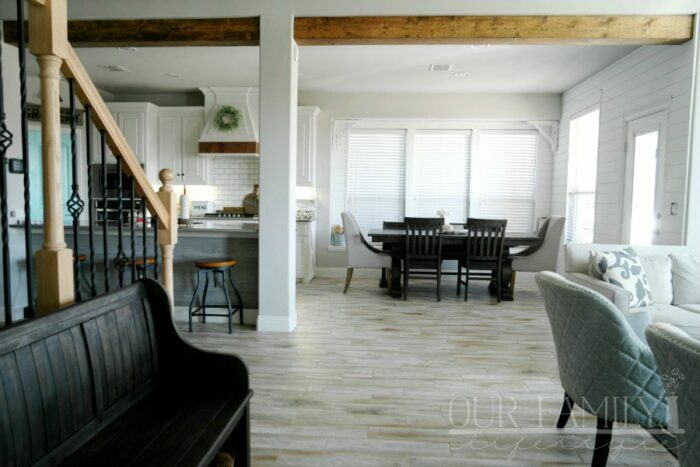 Set the mood – Dim the lights for a family movie night without leaving the couch. Say goodnight – Create a routine so you can turn off the lights while staying cozy in bed. 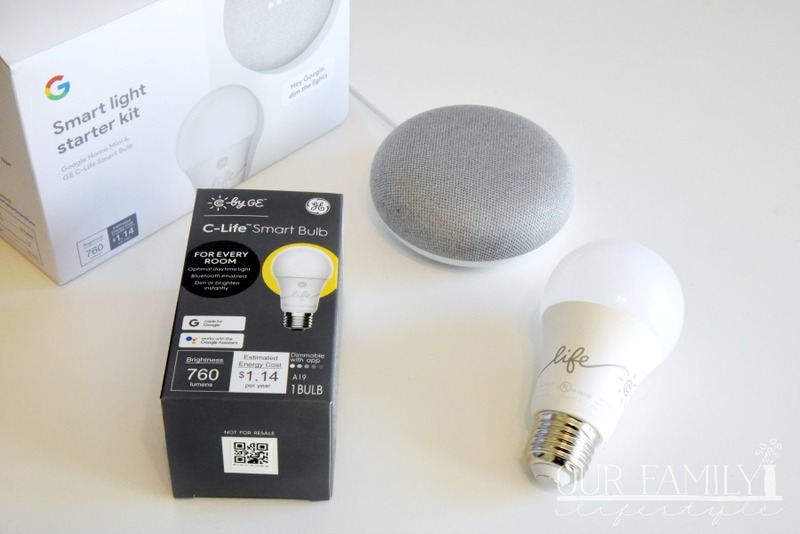 Plus, set up is incredibly easy: just plug in Google Home Mini, screw in the GE C-Life smart light bulb, and download the Google Home app to get started. Not to mention, using the Google Home Mini and GE C-Life smart bulb together, you can conserve energy, and, therefore, save money! Finally, as one of the lowest priced smart lighting products on the market, only $55 at Best Buy, you really can’t get any better! Affordable and practical. Grab your Google Smart Light Stater Kit from Best Buy today and see how much easier it can make things for you!